Our favorite new addition to the BPH store is Juliska’s Country Estate Collection. 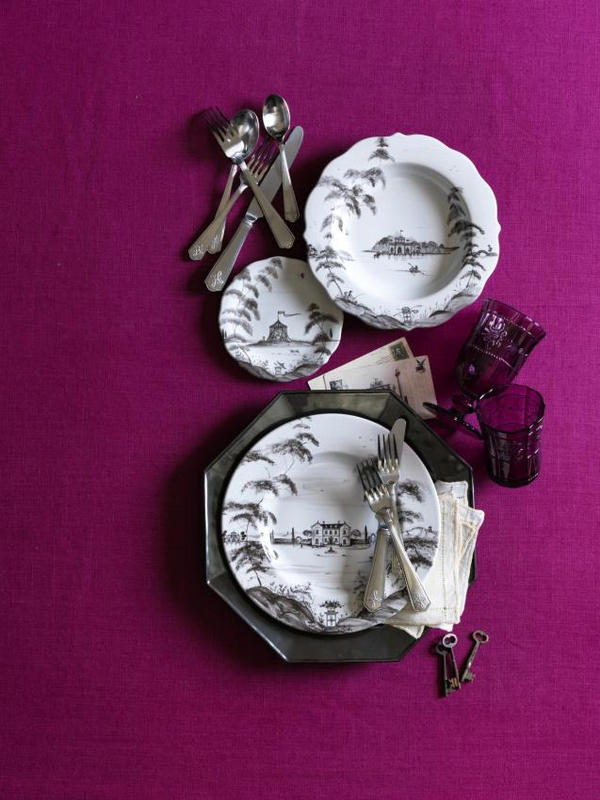 A partnership between Juliska and Isis ceramics, this everyday china pattern depicts traditional french country scenes of architecture and daily life in smokey charcoal glaze atop stark white ceramic. Its subtle charm incorporates beautifully into so many customers existing china patterns…and that why it’s flying off our shelves. Call 978.468.1228 or stop by the store to get yours today! New Year!? It’s in the Bag! 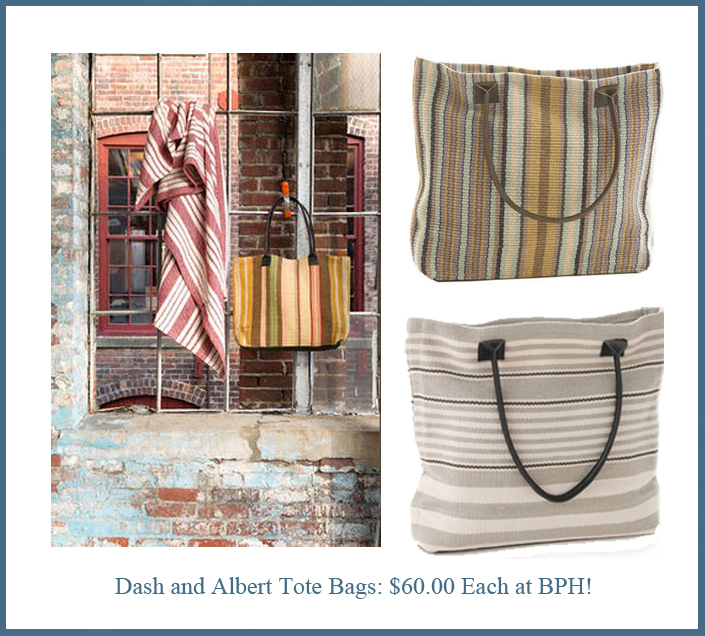 Everyone knows Dash and Albert for their chic-yet-affordable cotton rugs, but did you know that they fashion super cute totes in the same likeness? Hand loomed, 100% cotton and fitted with leather handles, they make the PERFECT bag for running errands around town. Be sure to stop by The Blue Peacock in South Hamilton MA to see our latest selection of the Dash and Albert line and these great tote bags. We can’t wait to see you in the shop! The Blog By Blue Peacock Home! Is finally up and running… Please check back weekly for sales, new inventory and lots of fun. We can’t wait to share our fresh finds for the new year! 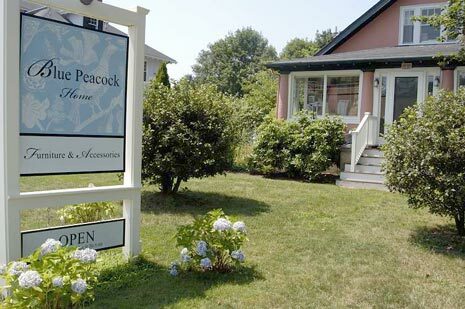 So stay tuned, and stop by Blue Peacock at 264 Bay Rd in beautiful South Hamilton, MA.